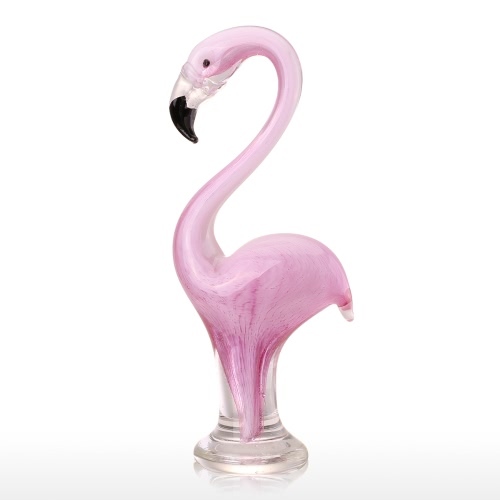 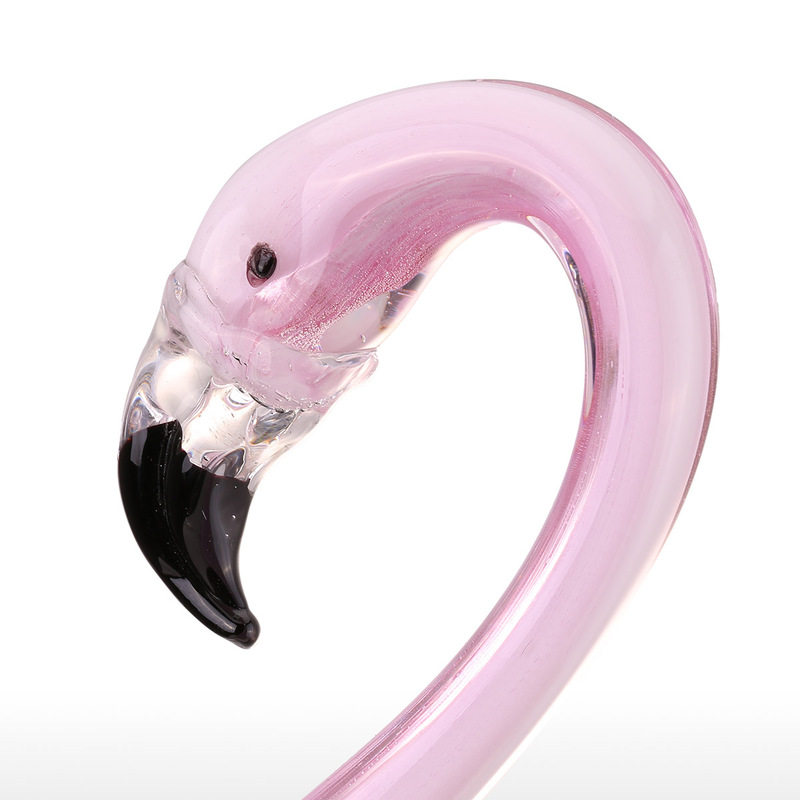 This is an elegant flamingo sculptures, it was made through a series of complicated crafts: hand-blown, glass spinning, polishing, etc. 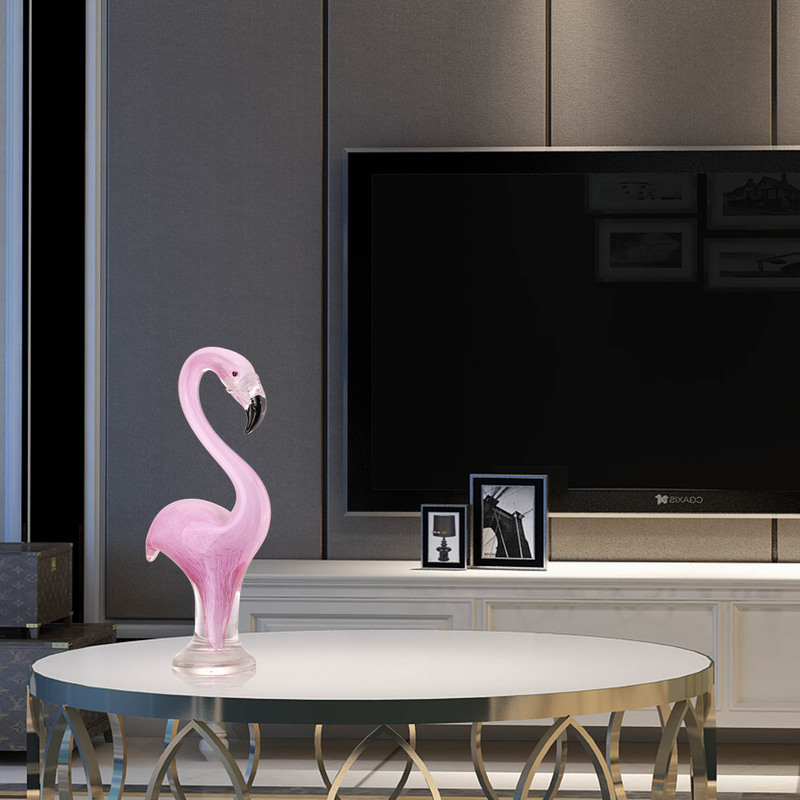 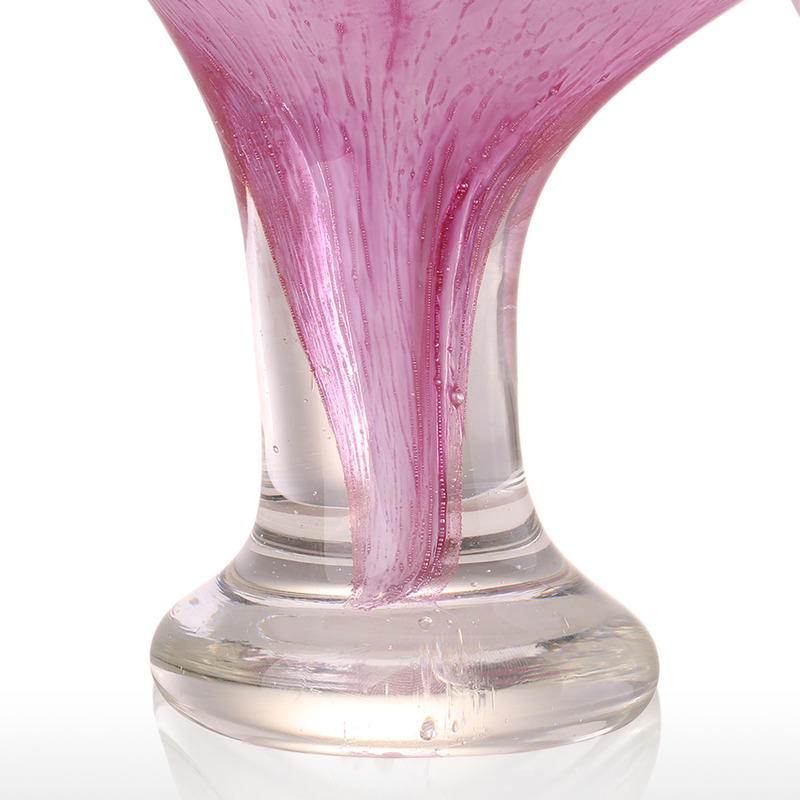 It is more than a glass sculpture, it is an artwork.Sculpture shows milky white under the pink appearance, which is a hazy beauty; neck bent into S-type, which reflects the beauty of curves. 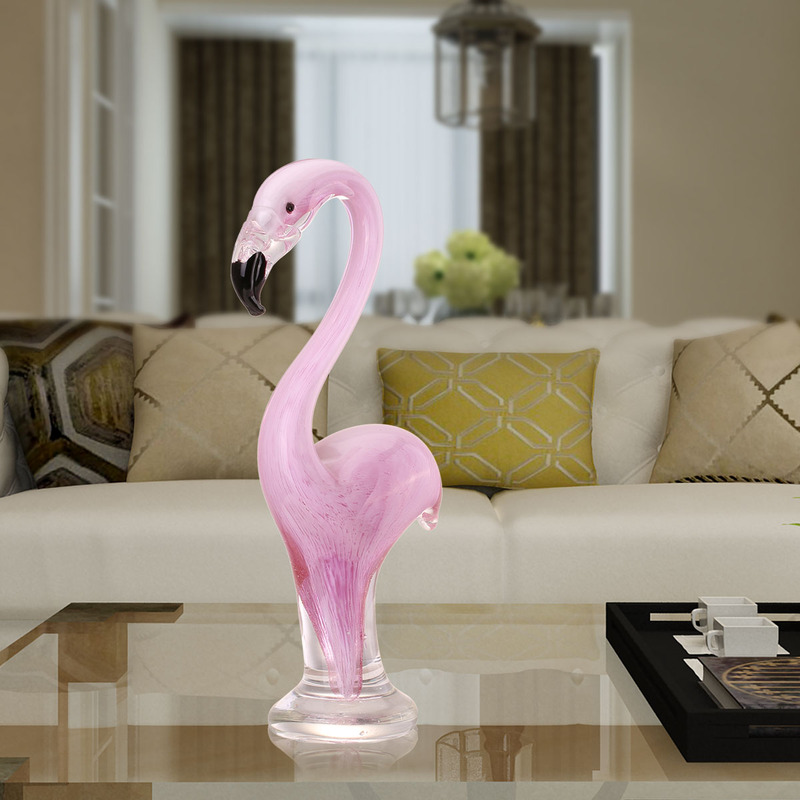 Very suitable for the living room den bedroom other indoor spaces decoration. 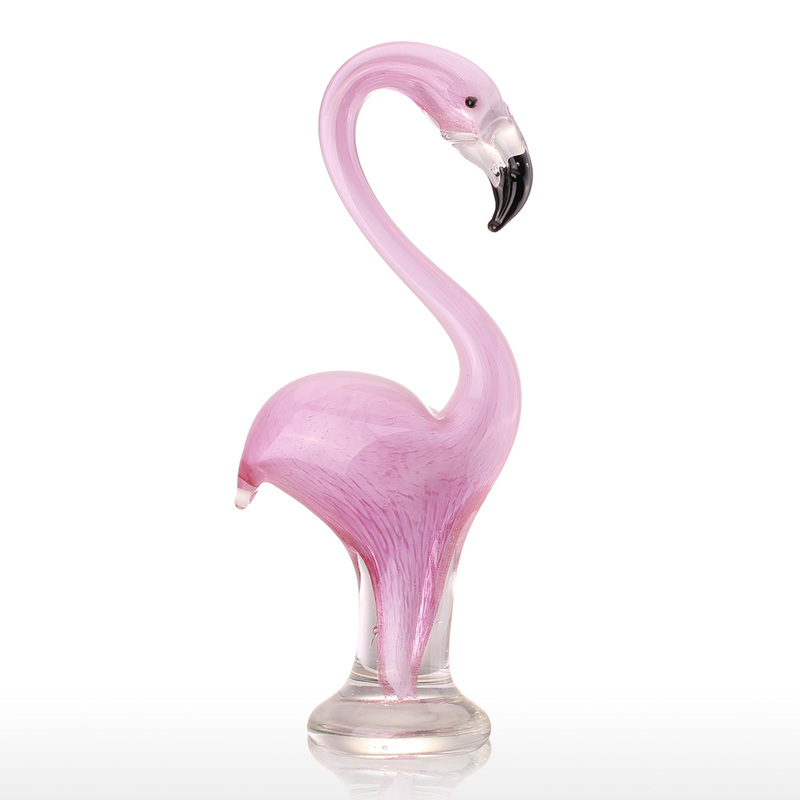 Elegant shape and delicate detail. 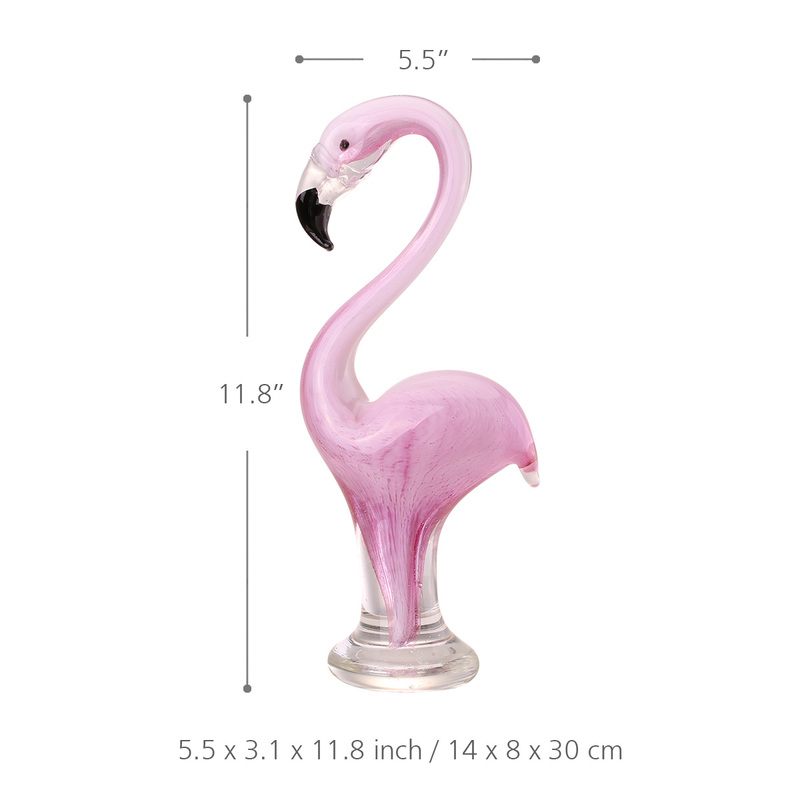 Hand-blown glass, each has slight differences.